dblade requested a Sketch of the Day of his great character, Ms. Amazing as his prize for winning Caption Contest 103. So here you go! This entry was posted in Challenge Prizes, Sketch of the Day. Bookmark the permalink. @dblade – can you post the original character pic? Woo hoo!!! Thanks, Jeff! This is AMAZING! 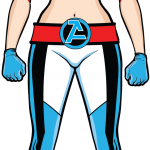 Ms. Amazing was one of the first heroes I created with HM3. 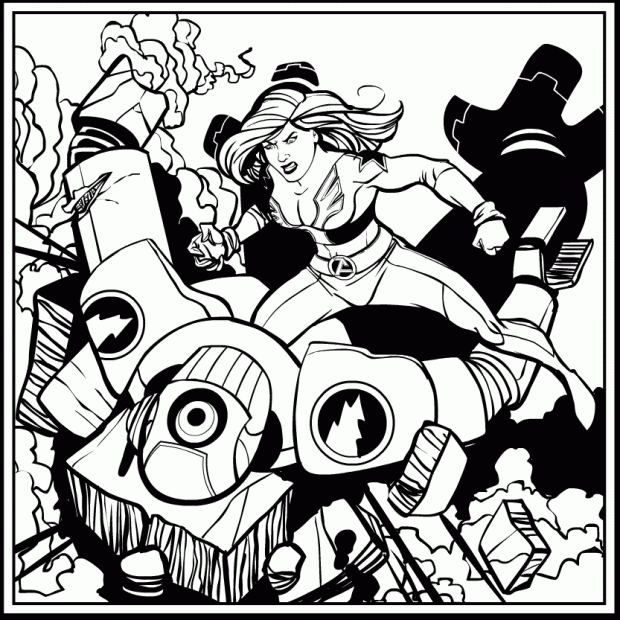 She is also my big shot hero (ala Superman, Batman, Spiderman) in my Blood of Gods campaign setting so it will be nice to have this image for my gaming materials and handouts to the players. Note: This is my first and only win for a caption contest, something totally unexpected considering my wit is amateur status at best. Cool character. She looks very sleek, a very no-nonsense/no-frills kind of gal. Plus I looooove the logo on her belt.